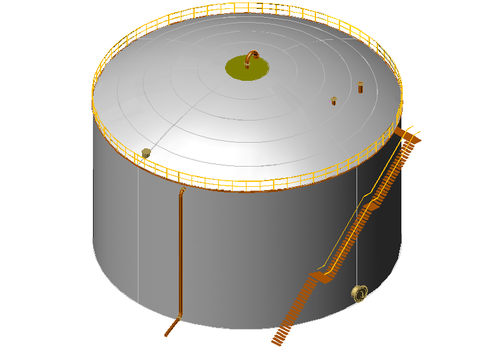 We offer our precious clients the premium quality Storage Tank Service. Offered service is widely demanded by our clients owing to its high reliability and timely execution. The provided service is carried out under the guidance of our experts using optimum grade tools and high-end technology. Our professionals check all the steps related to this service and execute it in a perfect manner. Further, the offered service can be availed by our precious clients at budget-friendly prices. DEV ENGINEERS is a notable service provider, supplier/trader of fabricated items including exports of pipe fittings, expansion bellows, gaskets, and bolts nuts. We also undertake site work including erection works. Our items includes Pressure Vessel, Heat exchangers, Columns, Storage Tank, Reaction Vessel, Fabrication & erection of structures & pipelines etc. We are a Sole Proprietorship Organization which is founded in the year 2004 at Vadodara (Gujarat, India) and provide these services in the best possible manner. Under the leadership of Proprietor, “Mr. Dinesh Vaghela”, we are able to achieve high position in the industry. We provide these services to several industries.